Halsey has the number one album in country this week. 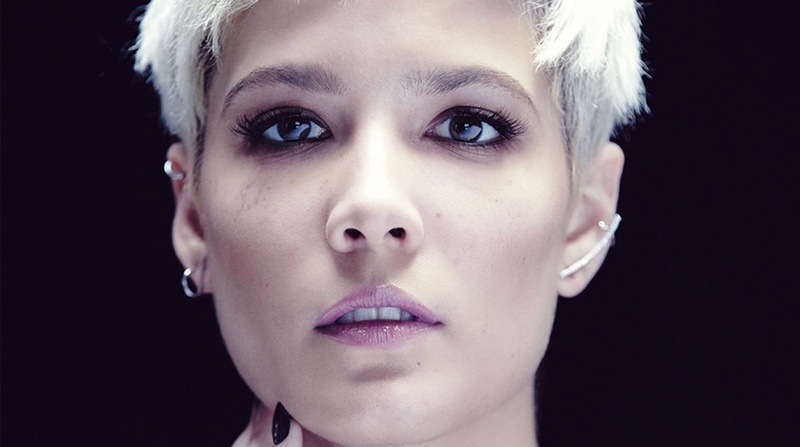 Pop singer-songwriter Halsey notches her first No. 1 album on the Billboard 200 chart, as her second full-length studio effort, Hopeless Fountain Kingdom, debuts atop the list. The set, which was released on June 2 through Astralwerks Records, earned 106,000 equivalent album units in the week ending June 9, according to Nielsen Music. Of that sum, 76,000 were in traditional album sales. Halsey performed “Now or Never” on last night on Fallon. Halsey’s new song “Eyes Closed” is up for stream on Spotify and Apple Music. Halsey has announced some new tour dates. Halsey has revealed the track listing for her upcoming album. Pre-orders for Halsey’s new album are now up on Amazon and her website. Halsey’s new single “Now or Never” will debut tomorrow. The artwork can be found below. Cameron Hurley is back with a new rendition of Halsey’s “New Americana” done in the style of Panic! at the Disco. Halsey will release her new album, Hopeless Fountain Kingdom, in June. Halsey’s new song “Not Afraid Anymore” is now up on Spotify and Apple Music. Halsey’s “Not Afraid Anymore” will be the next single from the Fifty Shades Darker soundtrack. The song is expected to debut tomorrow. Halsey has posted an update on Instagram after undergoing surgery in her battle against endometriosis. The Chainsmokers have released their new song “Closer” (feat. Halsey). Gotta love that Blink-182 reference. She’s also, perhaps not coincidentally, really good at getting into stuff. A little more than two years ago, Halsey was not actually Halsey, she was Ashley Nicolette Frangipane, a 19-year-old community-college dropout, couch-surfing between basements in her native New Jersey and the Bed-Stuy/Lower East Side hovels of a badass, tatted-up crowd of “degenerate stoners” she met through her boyfriend two years before that, back when she was an arty, misfit high school kid taking AP classes and roaming the halls covered in paint. She’d gotten into the well-regarded Rhode Island School of Design, and then learned that she couldn’t afford to go. She’d found the college she could afford a waste of time. Halsey is featured on a new episode of Autobiographies. From recording a commercial jingle in a basement in New Jersey to selling out Madison Square Garden. In a personal conversation with VICE, Halsey talks about her childhood, growing up bi-racial and the time she spent in NYC that lead to a break that changed everything. Halsey and Lido have teamed up to release the new track “Tokyo Narita (Freestyle).” You can find it on Apple Music and Spotify.